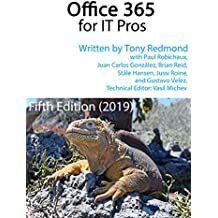 New blog entry posted on WindowsITPro.com – ramblings about the update that Microsoft has released for the Office Filter Pack 2010 and its importance to Exchange 2010 as a whole. The IFilters in the pack can obviously be used with other products… find out what the situation is by clicking here! This entry was posted in Exchange 2010, SharePoint 2010 and tagged Exchange 2010, Office Filter Pack. Bookmark the permalink.